Animal-assisted therapy involves animals with specific characteristics becoming a fundamental part of a person’s treatment. Programs are designed to improve the physical, social, emotional, and cognitive function of an individual. 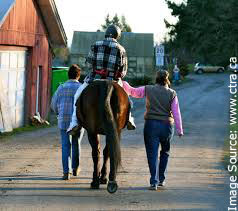 This includes equine-assisted therapy which utilizes the benefits of therapeutic equestrian activities to positively influence the lives of individuals with disabilities. Riding can improve muscle tone, balance, coordination, and motor development. Even the challenge of partnering with a horse carries the benefits of an emotional bond that develops between horse and rider promoting long lasting trust, unconditional love, self-esteem, and responsibility. 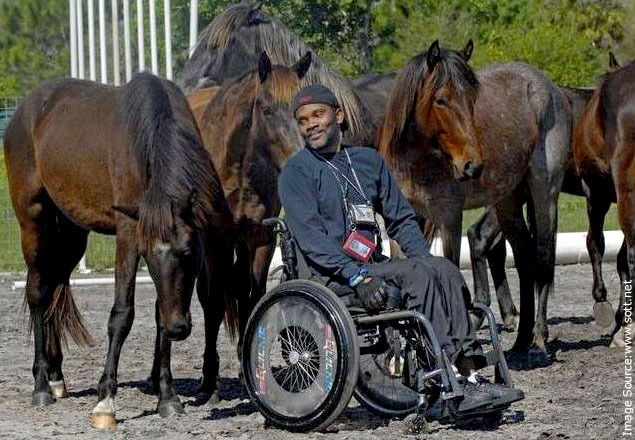 Many individuals carry their disabilities with them for a lifetime, but working with horses can provide motivation, physical therapy, emotional comfort, companionship, and confidence thereby helping to ease the trials of living with disabilities.